Today’s high-tech healthcare facilities demand the type of electrical support and installations offered by Sunderland Electric. We provide hospitals and doctors’ offices with the best possible communication and craftsmanship to let doctors focus on patient care. Having reliable, efficient electrical systems is mission critical for hospitals and nursing homes. At Sunderland Electric, health care electrical construction is one of our core disciplines, and we understand the complexity and sensitivity of such projects. Our electricians adhere to the strictest of regulations when it comes to safety and infection control. 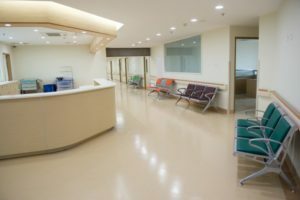 We understand that healthcare facilities don’t have the luxury of simply shutting down during a construction project, which is why we pay special attention to coordinating our efforts with other contractors and trades on the project. We work with the facility to meet every detail of all specialized system installations. Trust us to perform at the highest standards of safety and precision to assure the delivery of quality healthcare using world-class electrical services. Contact us to find out more about our large-scale electrical construction services for health care facilities. Sunderland Electrical proudly offers electrical services for healthcare facilities throughout New England.